Green Cleaning - Where do I start? Green Cleaning : Where to start? Would you like remarkable results from Green Cleaning Products but not sure who to trust or where to start? Our commitment to sustainability is as strong today as it was back in 1989. With 30 years of sustainable manufacturing experience here in Newcastle NSW you can trust 100% in our level of expertise in green technologies. All our products are manufactured on-site which ensures our extremely high level of quality control and the optimum performance and safety of our entire range. Tri Nature products have stood the test of time and for damn good reason! Not only do they cause no harm to our planet or the health of the people using them, but our attention to the outstanding performance of our products is unbeatable – resulting in them outperforming that of supermarket alternatives! Our Green Cleaning Starter Set is a great place to start for anyone looking to start their Tri Nature journey. With a fantastic selection of our customer’s most loved cleaning supplies, this set offers a taste of what we’re all about! 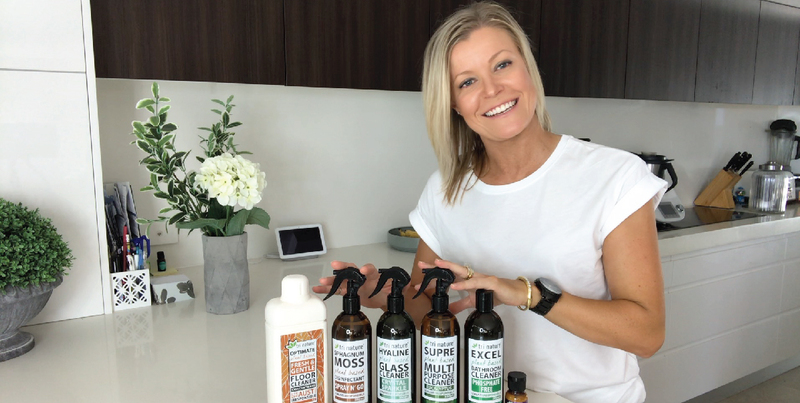 This fantastic range of products are environmentally friendly, biodegradable and loaded with plant based surfactants and actives making them family, pet and vegan friendly. They are also fantastic for those needing greywater and septic safe products. So, start detoxing your home today with our Green Cleaning Starter Set and you won’t look back! Still not convinced? If you give them a try and your’re not impressed we offer a 30 Day Money Back Guarantee – because if you’re not happy, we’re not happy! There is no doubt you will see what we mean by the level of performance of these plant based superpower products! Aka: mum of 3 mess-makers, wife to chief mess-maker, taxi driver, soccer coach, homework supervisor, laundry lady, queen of cleaning, health & safety manager, master mediator, anxiety reliever, motivation creator, and all-round boss lady.